The Advisory Committee should have no more than five (5) and no less than three (3) members. Committee members shall be appointed by the Western District President for staggered terms of two (2) years. Committee members may serve more than one term. The committee shall include the Immediate Past President of the Western District who shall serve as the committee chair for one (1) year starting at the mid-year board meeting after becoming Past President, and shall act as the committee liaison to the Western District Board while serving as committee chair. The Western District should target financial reserves of at least 1.5 times the annual operating budget. The District shall maintain two (2) insurance policies: 1) officer’s liability, and 2) general liability insurance. The District Administrator is tasked with the maintenance and review of these insurance policies on an annual basis. The winner of the Wayne T. and Patricia VanWagoner Award shall receive $200 at the Western District Annual Meeting. The annual award was endowed by the VanWagoner family in honor of Wayne Van Wagoner in 1987. 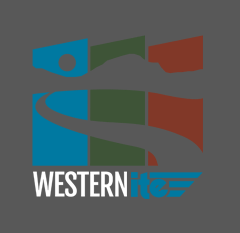 The Western District website committee consists of the Webmaster, the WesternITE Managing Editor, an International Director (normally the mid-term Director), a District Officer (normally the President) and two “at large” members. The District Officer will chair the Website Committee and be responsible for appointing the two “at large” members. The two “at large” members will be appointed for two-year terms.